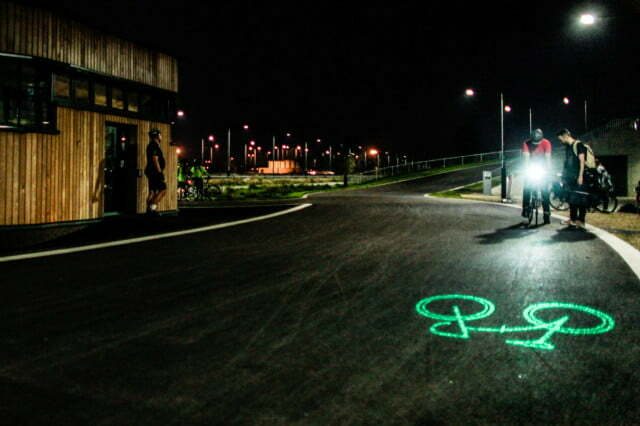 Now completely funded on Kickstarter as of today after raising approximately $40,000, the Blaze bike light projects a symbol of a green bike on the road approximately 10-15 feet ahead of the cyclist. 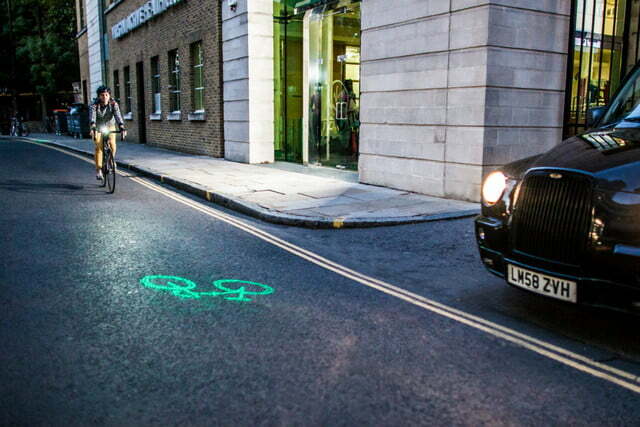 Created by a woman named Emily Brooke in London, the light is designed to warn motorists that someone riding a bike is moving up in their blind spot a few seconds before the cyclist appears on the left or right side of a vehicle. Beyond regular sized automobiles, people driving large commercial trucks or buses with much larger blind spots will be able to avoid cyclists more effectively after spotting the laser projection on the road. 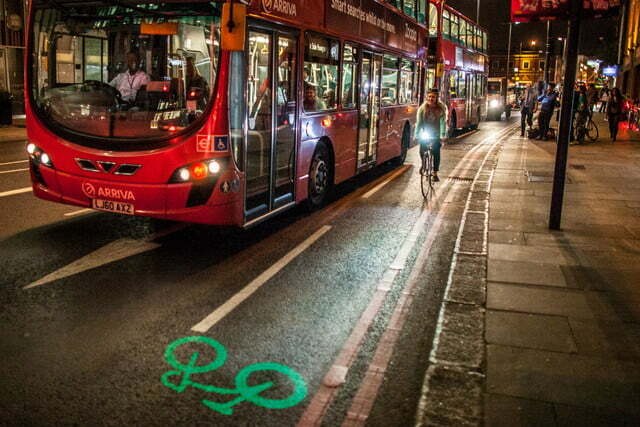 Brooke came up with the idea for the Blaze bike light in order to increase the safety of riding within London. According to the Kickstarter project, nearly four out of five traffic accidents that involve cyclists occur when a vehicle turns into the bike due to the limited space on the road. It could also be useful when a motorist is turning onto a road and is able to see the green bike symbol on the road in front of the car before pulling out. The laser module on the Blaze has two options when activated. In blinking mode, the battery is able to power the laser module for up to twelve hours without requiring a recharge. Alternatively, the laser module can be set in a constant position and the battery is able to power it for six hours. In addition, the battery also powers the white LED light on the device which acts as a small headlight for the bike. 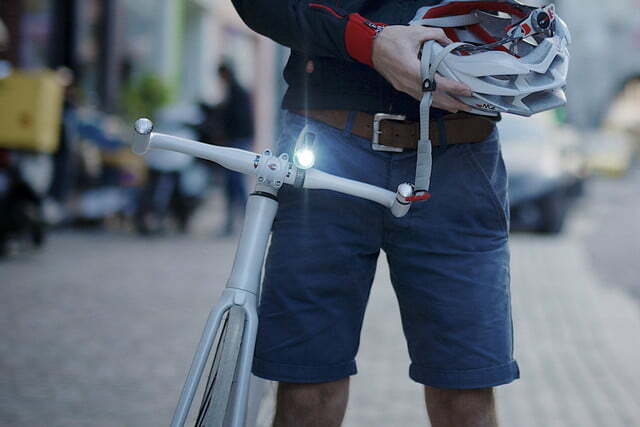 In blinking mode, the LED light and laser module alternates in order to draw constant attention to the bike. A cyclist that spends about an hour a day on their bike would likely have to charge the Blaze once a week in constant mode or once every two weeks in blinking mode. Just 4 inches long, the Blaze bike light is housed in aluminum and the device is completely waterproof for riding in the rain. When removed from the bike, the Blaze bike light can be used in dim mode to help the cyclist accomplish tasks in the dark like performing maintenance or simply finding an object in a backpack. 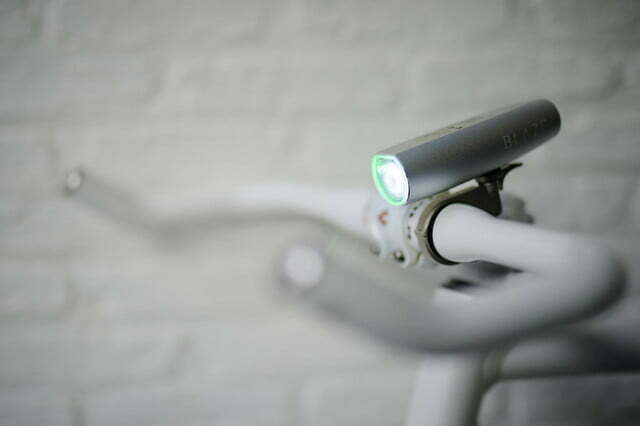 The designer of the Blaze bike light has also included a safety feature that doesn’t allow the laser module or LED light to turn on full blast without activating the internal magnetic sensor that interacts with the mounting bracket. 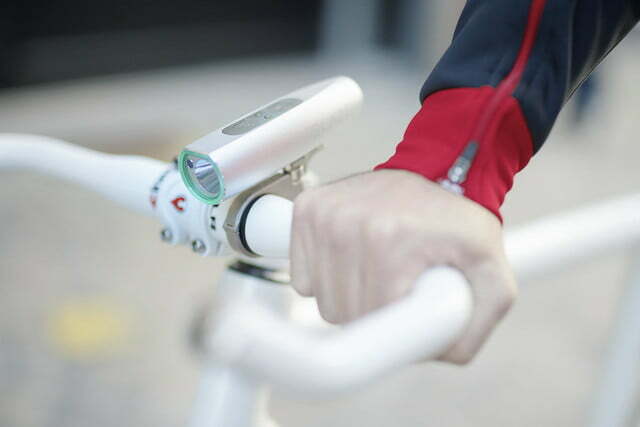 According to the current details in the Kickstarter project, the Blaze bike light costs about $100 and investors will receive a first run model by April 2013. The creators will be shipping the Blaze to areas outside the United Kingdom as well for an additional shipping fee. Other contribution levels include accessories such as extra batteries and chargers as well as t-shirts and water bottles. In regards to similar products, a Korean company named Slancio created a red laser tail light system for bicycles that’s designed to warn motorists about an upcoming cyclist in the road and it’s priced around $20. 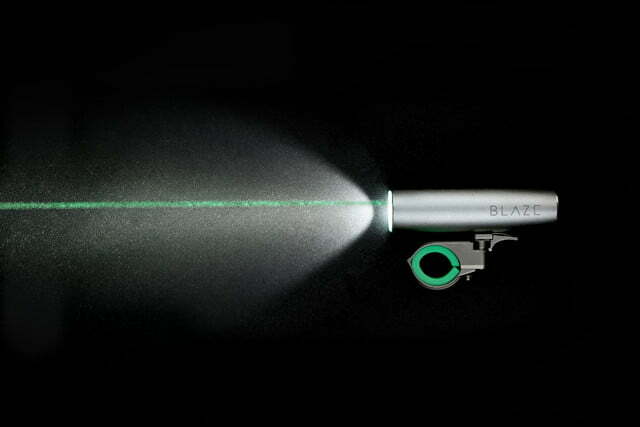 The Blaze Laserlight for bikes actually delivered on its promises and is now available in the U.S. Since more than doubling its Kickstarter goal three years ago, Ph.D. student and cyclist Emily Brooke’s invention is now available on the Blaze website and on sale in the U.S. at select locations. The new video recently released on British company’s Facebook page shows testimonials from riders that use the light, including a taxi driver (normally the biker’s mortal enemy), a 13-year veteran of the London Metropolitan Police, and the first British woman to finish the 3,000-mile RAAM (Race Across America). The video makes a few good points, but the theme is that the Blaze can save your life. One rider put it perfectly: “People buy expensive locks to protect their bikes, so why not buy a light that can save you from an accident and prevent the bike from being damaged, let alone you being damaged?” Fair enough. The TiGr of bike lights, the Blaze Laserlight goes for $200. Thank goodness shipping in the continental U.S. is free.